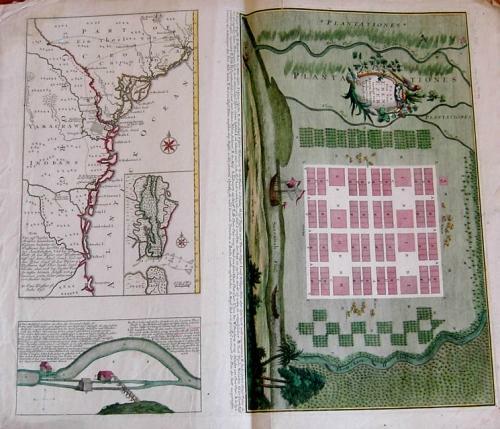 An interesting print and map of a Savannah Georgia Plantation by Seutter. The print has a diagrammatic view of the mills in the vicinity of the Ebenezer plantation in South Carolina. This print is in very good condition except for a small 1 cm tear on the green plantation that is visible in the image (on the right hand page at the top near the centrefold). There is also some fraying on the outside edges (well away from the image area).